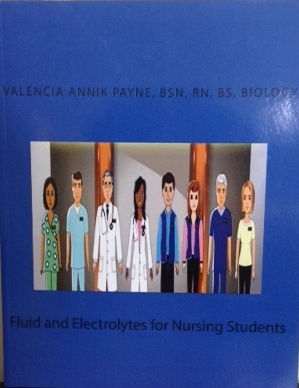 Fluid and Electrolytes for Nursing Students gives you the run down on each electrolyte imbalance, diseases that are associated, pathophysiology, and what the nurse should do if he or she comes in contact with a patient that has any electrolyte imbalance. This book also has visual aids that will give you cues that will allow students to retain the information. This book will aid nursing students on their classroom test, HESI, and NCLEX. Next What Fluids? What Electrolytes?